Just click the blue "+" sign in the upper right-hand corner in Timely. 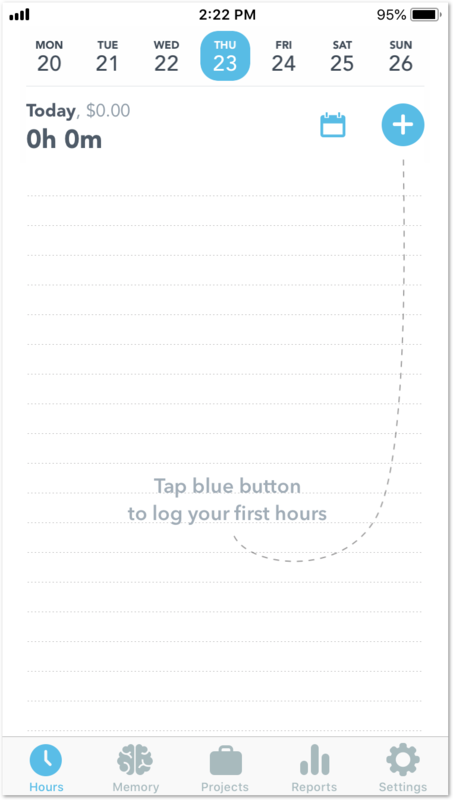 To add Logged time, swipe left with your finger over the "Logged Hours" field from "0h 00m" and adjust it to the time you need. Click 'Set Manually' if you want to log time to an exact minute. Swipe left over the two big dots located on the top "Logged hours" to switch it to "Planned Hours". To add planned time, again swipe left with your finger over the "0h 00m" and scroll to your preferred time. 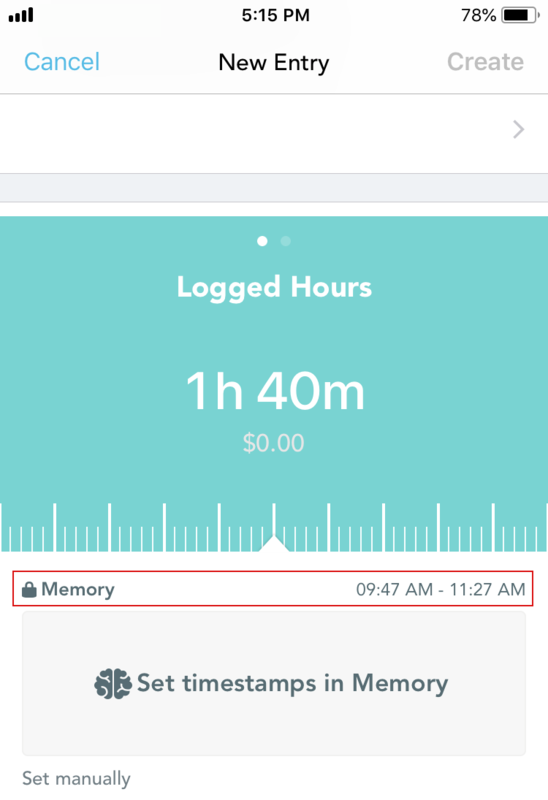 You can access your Memory Timeline from the Timely iOS app, where all your tracked events and integrated app activities are stored. Select "Set Timestamps in Memory" to be redirected to your Memory Timeline. Double tap the start time, then drag the bottom of the highlighted field to your desired end time. Once you've selected your timeframe , click < New Entry to return to the entry field. You'll see that your Memory timeline selection has been saved to include your 'To-From' timestamp. 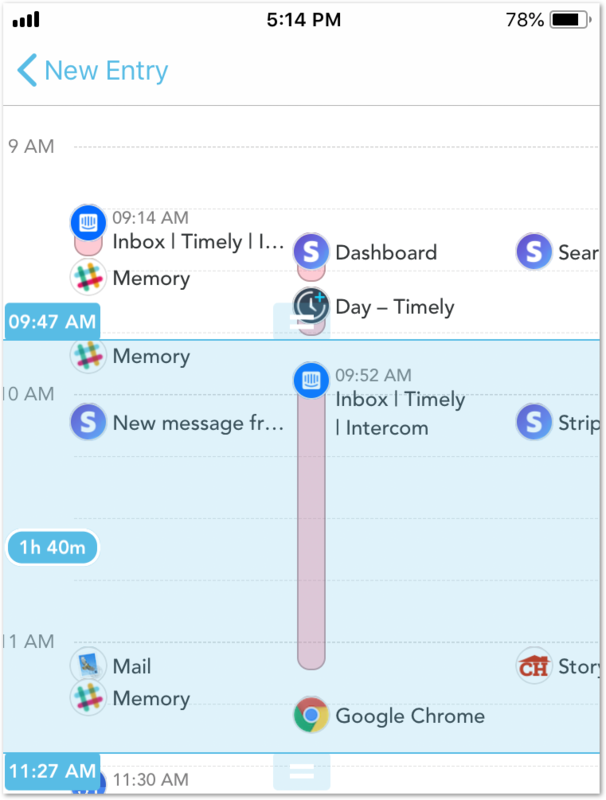 Note: The your timeline memories can only be captured when using Timely on a desktop device. If you need to track time manually, just tap on "Start Timer" to start tracking time. If the entry is closed, tap on the entry with the timer running to open it up and then tap "pause" to stop the timer. If you want your entry to be added to a different day, tap on the calendar icon with "Date" written next to it. A scroll bar containing Day, Month, and Year will appear. Just scroll up or down and select the date you want. Tap on "Create" in the upper right-hand corner when you're ready to save your entry! What Android OS versions are compatible with Timely?